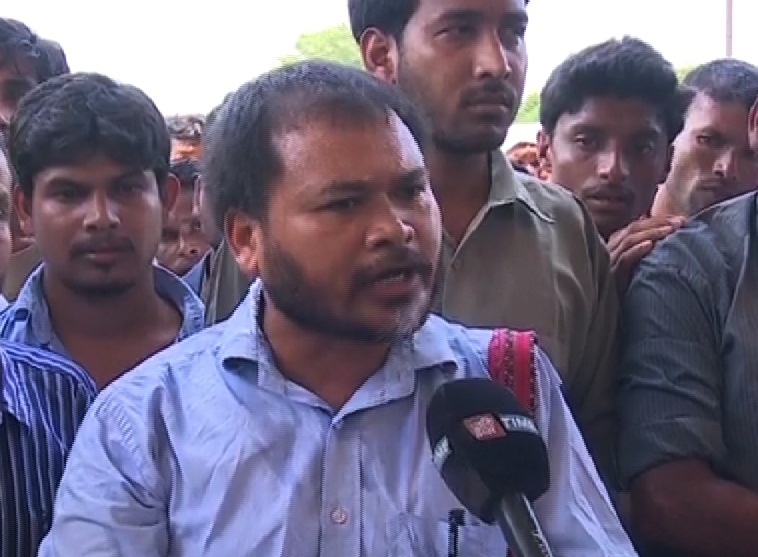 KMSS leader Akhil Gogoi while addressing a press conference in Guwahati on Sunday said that the KMSS was calling an Assam bandh for the first time. The Congress, Indigenous Forum, Assam, led by the United Liberation Front of Assam (ULFA) leader Anup Chetia, and cab operators have also lent their support to the 12-hour Assam bandh called by 46 organisations from 5am on Tuesday. A report published in the The Telegraph stated that the organisations, led by Krishak Mukti Sangram Samiti (KMSS) and Asom Jatiyatabadi Yuba Chatra Parishad (AJYCP), called the bandh to protest against the Centre’s bid to pass the Citizenship (Amendment) Bill, 2016, in the Winter Session of Parliament. The report further stated that the Joint Parliamentary Committee (JPC) on the Bill, led by BJP MP Rajendra Agrawal, will meet officials of the Home, Law and Justice and External Affairs ministries on Tuesday to take a final call on the Bill. Assam Pradesh Congress Committee (APCC) president Ripun Bora said they will never accept an Act which “violates the Assam Accord”. The Bill seeks to grant Indian citizenship to Hindus, Sikhs, Buddhists, Jains, Parsis and Christians who fled religious persecution in Bangladesh, Pakistan and Afghanistan and entered India before December 31, 2014. KMSS adviser Akhil Gogoi on Sunday said this was the first time in the organisation’s 13-year-old history that it had called an Assam bandh. “We feel the State is in grave danger. The Bharatiya Janata Party (BJP) and the Rashtriya Swayamsevak Sangh (RSS) are going ahead with its agenda of making a Hindu Rashtra. Chief Minister Sarbananda Sonowal has become part of this agenda and set aside the interests of Assam,” he said. “The JPC had promised to take opinions of the people of Assam again before taking a final call on the Bill. Without keeping its promise, it is going to take a final call on the bill. It has betrayed the people of Assam,” said Mrinal Hazarika, member secretary of Indigenous Forum, Assam. “Besides the BJP, other political parties have also betrayed the people of Assam because the JPC has members from other parties as well,” said Rubul Das, convener of the forum. A meeting of 40 organisations on Sunday in Upper Assam’s Tinsukia district offered support to the bandh. They vowed not to accept the Bill under any circumstance. Both the forum and the 40 organisations opposed the November 17 meeting to be held in Khanapara playground in Guwahati, organised by 26 Bengali organisations in support of the Bill.